CMG Sprinklers and Drains — Servicing Central Oklahoma including: Norman, Moore, Midwest City, Del City, Mustang, Yukon, Purcell, Edmond, Blanchard, Oklahoma City, and Newcastle and all surrounding areas since 1993. CMG Installs New Lawn Sprinkler Systems, Drainage Systems for home or business, Rain/Freeze Sensors for new or existing Sprinkler Systems, and provides Expert Sprinkler Repair. Lawn Sprinkler installation was our first and original business back in 1993. 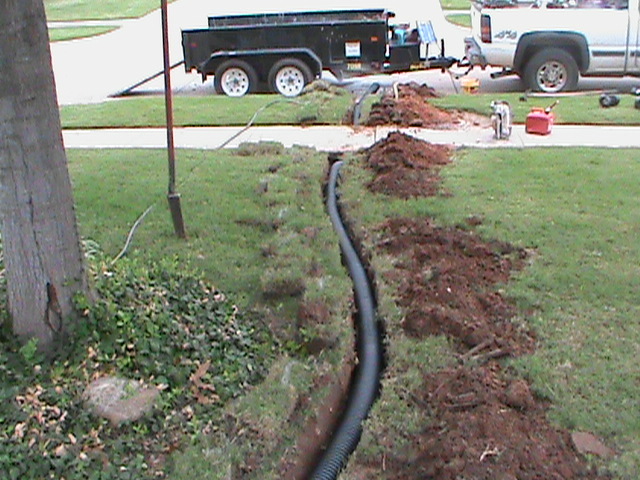 Shortly there after we began to install Drainage Systems for home or business. When solving Drainage Problems, CMG utilizes French Drains, Surface Drains, Channel Drains, Basement Drains, Trench Drains, Basin Drains, and Sump Pumps. 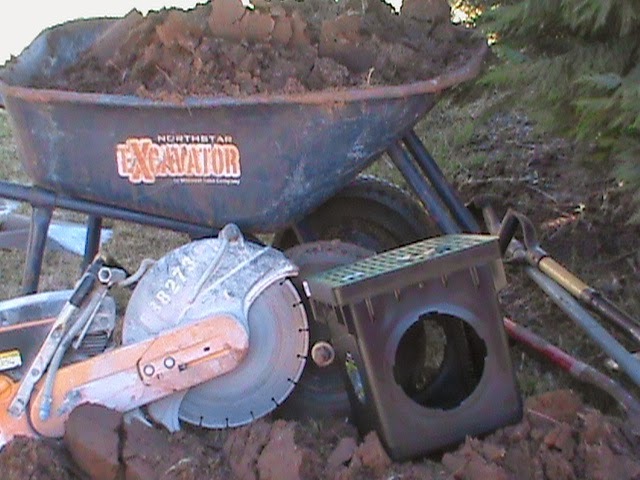 Drainage Systems have become as large a part of out business as Sprinkler System Installation. Over the years as our experience increased it was only natural to make”Expert Sprinkler System Repair” a part of our business. CMG Sprinklers and Drains began providing sprinkler system repair in 1998 and continue till this day. All things wear with time and sooner or later all Sprinkler Systems require maintenance and adjustment. 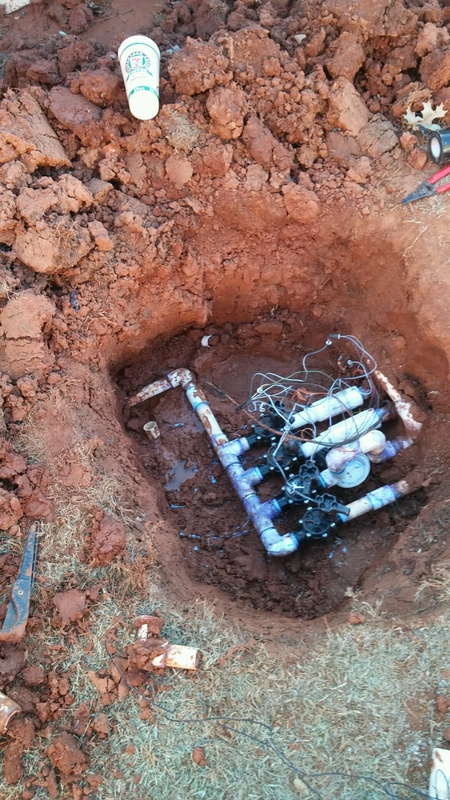 We have successfully completed several thousand quality sprinkler repairs in past several years. Installing Rain/Freeze sensors for new or existing sprinkler systems is a new focus for us. Most Sprinkler Systems run at a pre-scheduled time. They are turned on and off by the Sprinkler Controller. The problem is the weather. Rain/Freeze Sensors will turn off your sprinkler system if it is raining or gets too cold at the time that your sprinkler system come on and there is nobody around to turn it off. The Rain/Freeze Sensor will also turn the sprinkler system back on again when it warms up or dries out. CMG also recommends The, “Perfectbore Company,” for all your Directional Drilling needs. If you need PVC Pipe or Electrical Conduit installed in tough, hard-to-get places, In all of Central Oklahoma. Perfect Bore installs: Drain pipe, PVC Pipe or Conduit under sidewalks, driveways, roads, parking lots. If you need Precision Directional Boring just click on any of the Highlighted Links in this paragraph. You can also check out the Directional Drilling Button at the top of this page. CMG Sprinklers and Drains provides free estimates for all of Central Oklahoma. Give us a call at 405-226-0629 or send us an e-mail at cmgsprinklersanddrains@yahoo.com.